Was it deserved? By Bond, yes. Bond’s loyalty to M is tested in Skyfall as he persues a former MI6 Agent who, in an act of Revenge against M, attacks MI6 in hopes of destroying both M and her reputation. With the film opening scene starting in the middle of a full on chase involving Bond and an assailant on motorbike across rooftops in Istanbul and ending with Bond being shot from the top of a moving train, it promised so much. And the rest of the film certainly delivered. 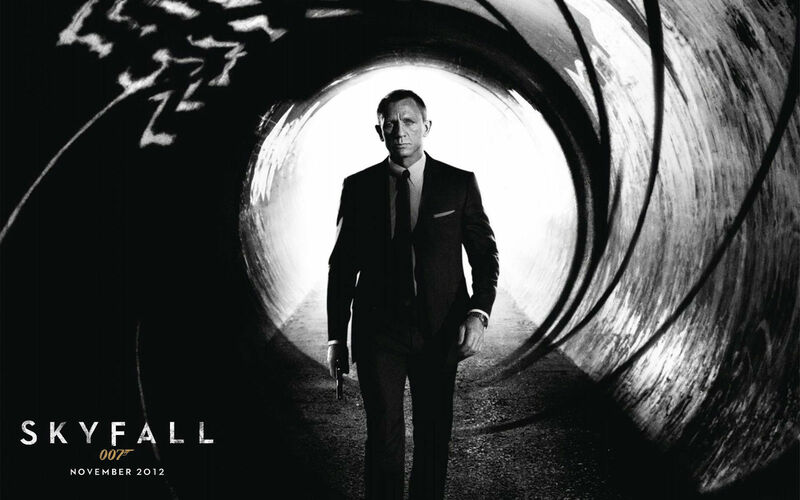 Helicopters and explosions galore, this is a Bond film that will be enjoyed in years to come. The reason I found Skyfall so appealing was the way Director Sam Mendes tipped his hat to Bond’s past. With the return of Q and Miss Moneypenny not to mention the famed Austin Martin and it’s legendary eject button, this film should appeal to die hard Bond fans and any one new to the franchise. What certainly aided my enjoyment was the presence of the, dare I say it, best Bond villain to date – Raoul Silva, played by Javier Bardem. Even if his character is strikingly similar to that of The Joker in ‘The Dark Knight’ ( tries to connect with protagonist before allowing themselves to become captured, both eventually using police-man garb as a disguise) the way Silva and Bond interact and the way Silva simply embraces the chaos he causes, along with his almost painful flamboyancy make Silva a memorable baddie. That and the fact that Silva was the first bad guy to ever put the moves on bond. 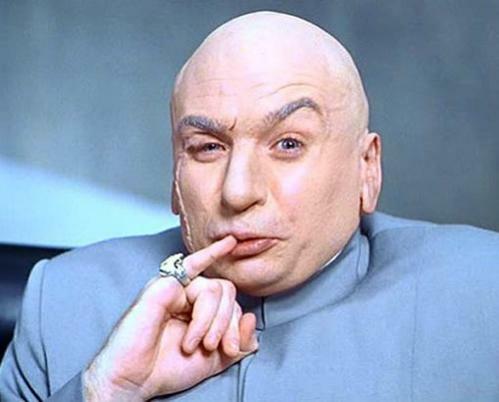 Forget the Bond ladies, this villain knows what he wants. While Mendes brought back certain elements to this Bond film to make it feel more like its predecessors, he also elaborated on certain points not yet fully established. Such as Bond’s Scottish background. The great reveal of Skyfall being a place in Scotland, Bond’s family home, instead of some fancy MI6 secret mission was unexpected, and for me not to guess a plot twist is a first. The author of the Bond novels Ian Fleming had Bonds kin hail from Glencoe, and in a panning shot of the chapel on the grounds of Skyfall we see the graves of Bond’s parents, whilst also learning some about their fate and his orphaning when he was a child. Bond and M travel up the A82 arriving in the highlands of Glencoe with Buachaille Etive Beag in the background, showing off our beautiful scenery. 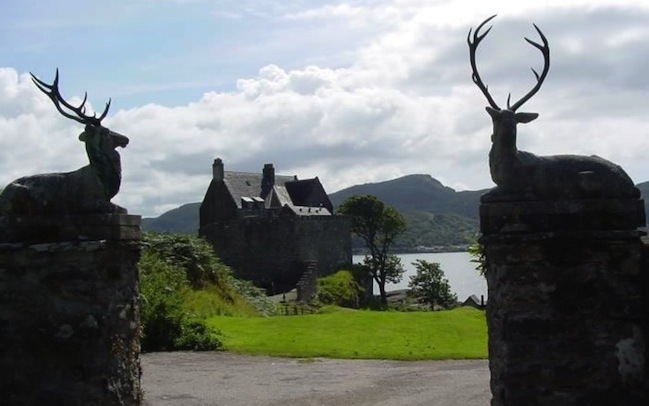 The building Skyfall itself, meant to be the Bond family manor, is actually Duntrune Castle in Argyll. 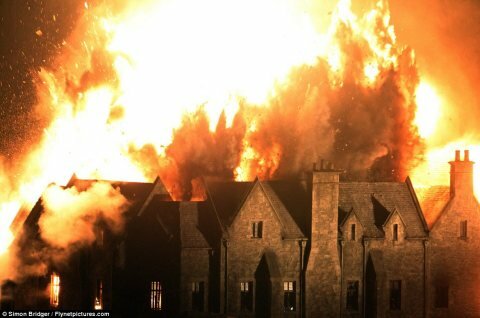 Although have no fear castle lovers, when Silva destroys Skyfall (so many explosions, so very very many… All necessary of course. I needed to see all of them. Overkill? No. Never. The helicopter smashing into the building and causing an explosion within an explosion was so needed.) it was not actually the listed building that is Duntrune Castle, it was instead a set built on a stretch of Ministry of Defence land. All in all Skyfall was an exemplary addition to the Bond film category and Mendes with his cast and crew should be proud. I liked Casino Royale more though but this almost lived up to the hype. A decent flick and one of the better Bond movies, but not my favorite of all-time I have to say. Good review Megan. Thanks very much for reading my blog and commenting! I’m looking through yours as we speak and loving it.